Available from : Segulah Publishing. Home-educated teenager with a love of reading, this is her first novel. She has used her experiences whilst visiting Israel as a setting for the book, which is in diary form. Rachel is 14, and lives with her orthodox Jewish family in Israel. Her future will be an arranged marriage to someone chosen by her parents. She has no-one to tell about how she feels, except this – her diary. "I finished your story yesterday. It was difficult to put down and I really enjoyed it." "I was so struck by this excellent, beautifully crafted work - intensely readable." "An excellent read, it is an inspirational story." 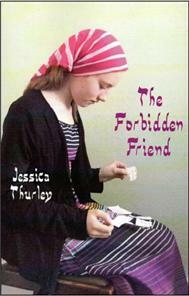 The Forbidden Friend will appeal to all who enjoy a good novel, and is suitable for teenagers and adults. Please use the contact tab and ask us about availability, as we do not presently hold stock, but are happy to obtain for any enquirer. © Copyright 2010 Christian Publications International, All Rights Reserved.